Manitou II was the last to be loaded, strapped tightly to the car for the 200+ mile trip to Portland. We loaded the car with lots of camping and kayaking gear (forgetting the spare paddles and pillows). 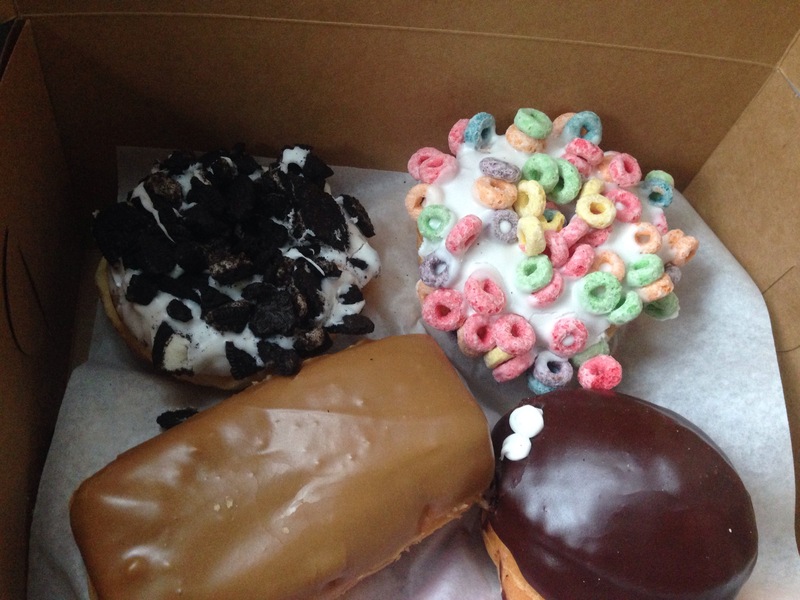 I picked up some goodies from Voodoo Donuts, mainly because it seems like the thing to do in Portland. The line was long but it moved quickly and I had them pick out a dozen. There’s an assortment of very normal donuts and very odd donuts. 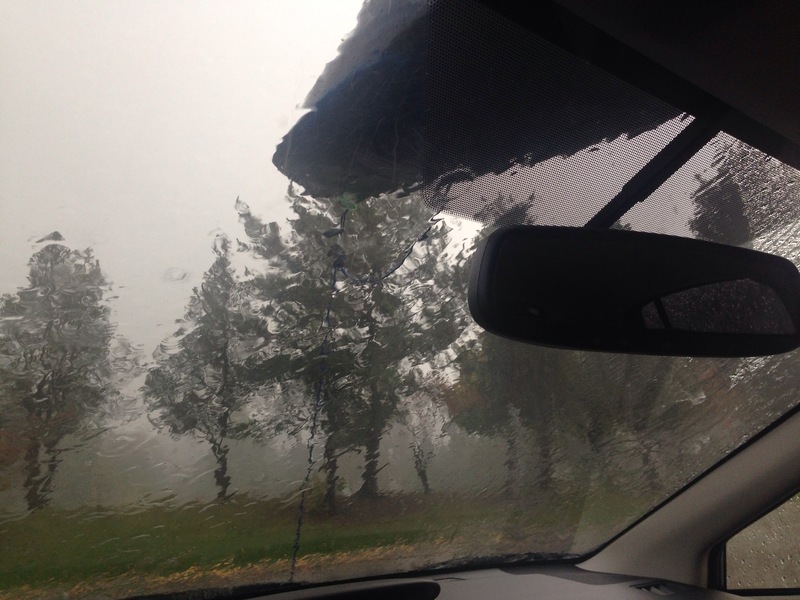 We stayed two nights at Champoeg State Park. Since there weren’t any campsites left in the camping loop we had a very large parking space…in the RV loop. Thankfully there was a grassy tent area. On the downside it was a little more expensive than we’re used to but we were right next to the showers (important since Alex was here for a professional conference). Because we have an RV site and no RV to hook up I was able to use the outlet to charge my phone (you get cell service at this campsite, again not what I’m usually going for while camping but for this trip it was good for getting in touch with Alex). 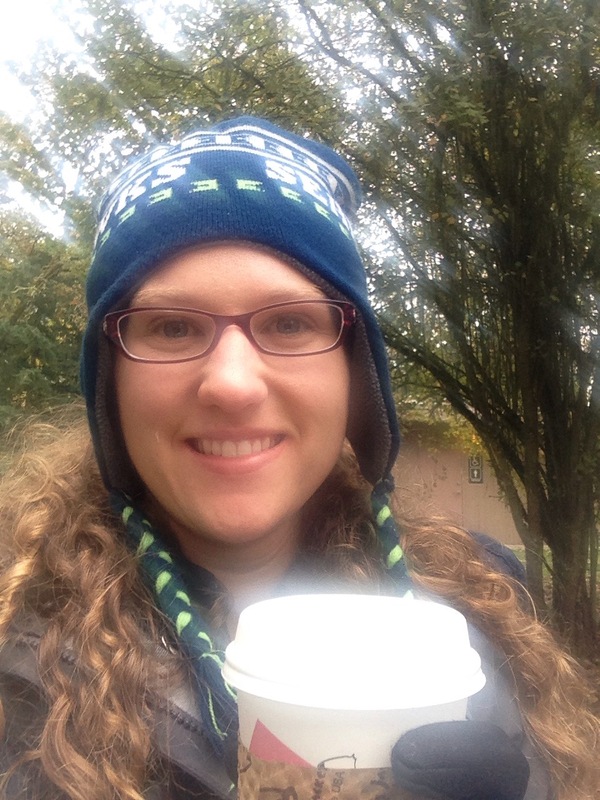 So I bundled up in my camp chair, with my donuts and coffee, and passed the time through writing. 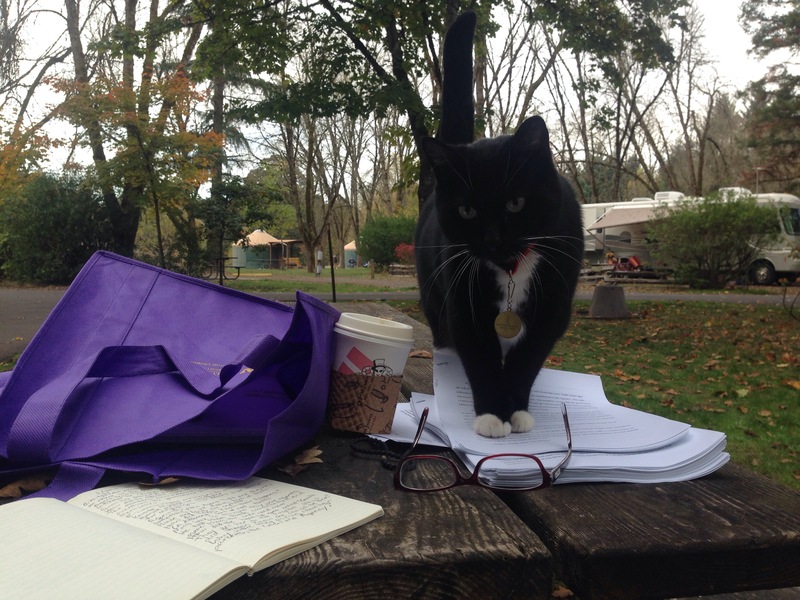 Since we have a tandem I couldn’t go kayaking without Alex so I made the weekend into a writer’s retreat, editing past stuff I’d printed off for a novel I’m trying to write. We couldn’t kayak Friday night because we got in late (2:30am). Alex had his continuing education class on running until right before sunset, so we couldn’t paddle Saturday, though I enjoyed myself at the campsite and made a new furry friend. 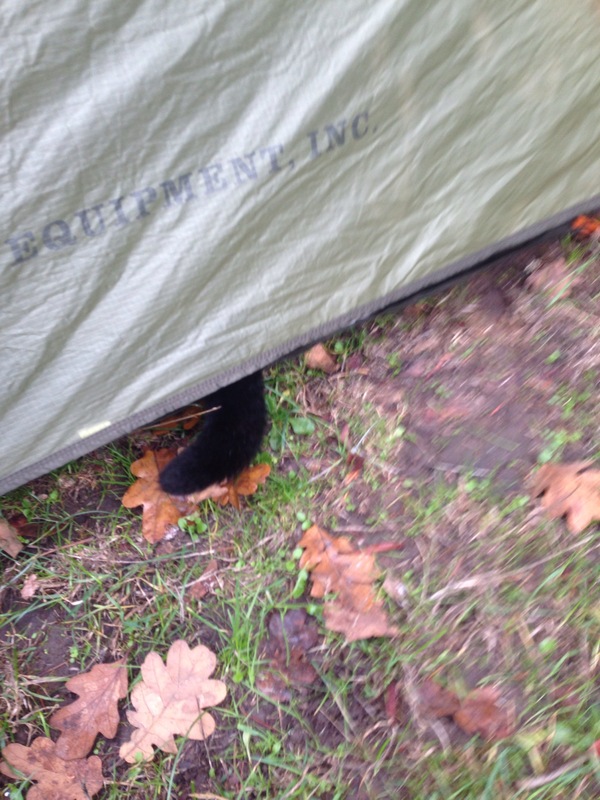 I saw the tent move and went to investigate. 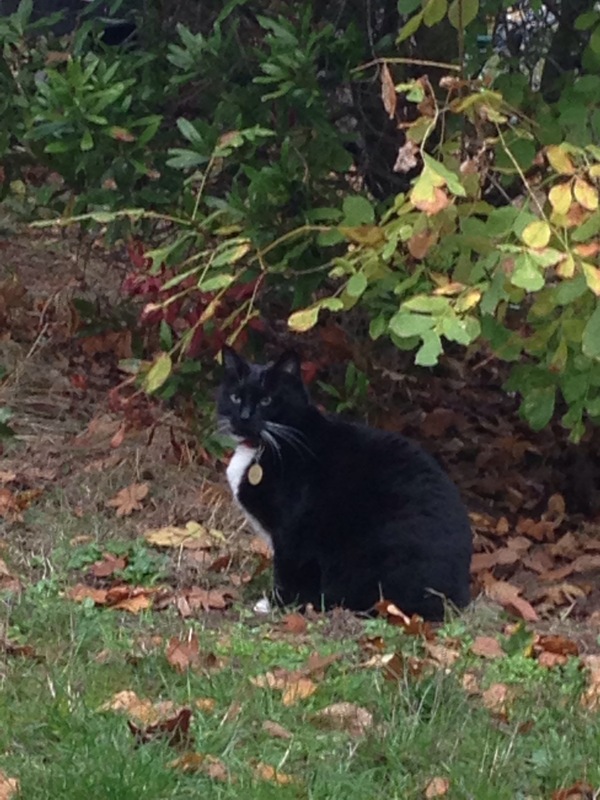 Glowing yellow eyes greeted me under the tent. This wild beast was hiding under my tent cover! Cats have complex needs. 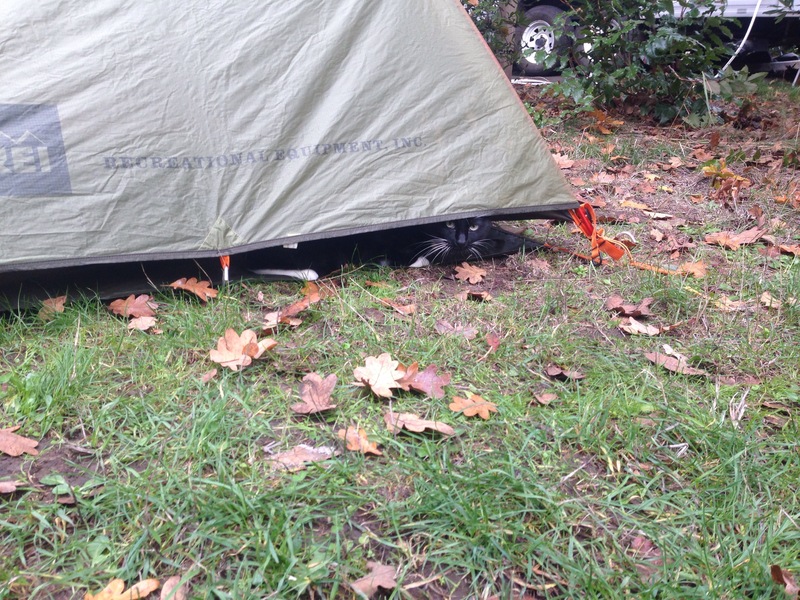 I think he was trying to stay warm, wanting some company, and hoping to catch some tasty gophers (we didn’t see the gopher holes when we set up the tent in the dark). He was protecting our campsite! 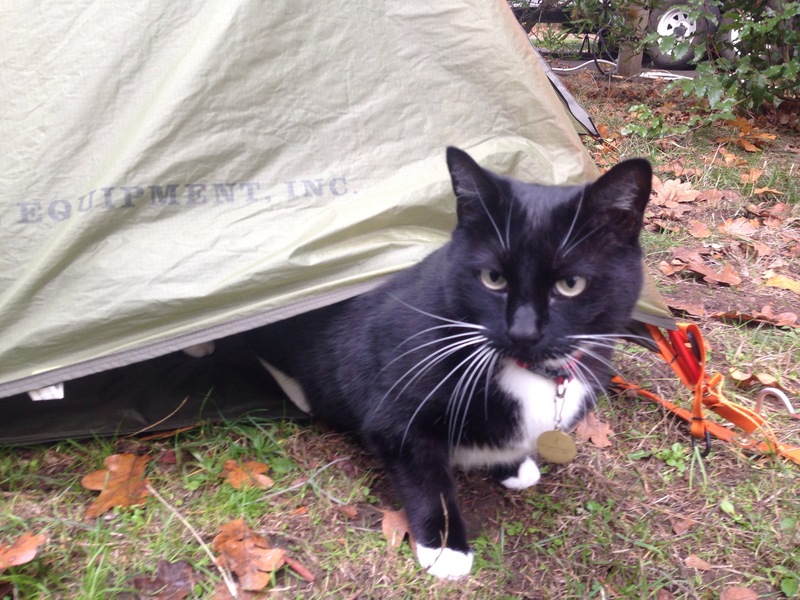 I also got a compliment from someone on what a well trained cat I must have, to bring him camping. Sunday Alex’s class at the hospital ended around 3pm. 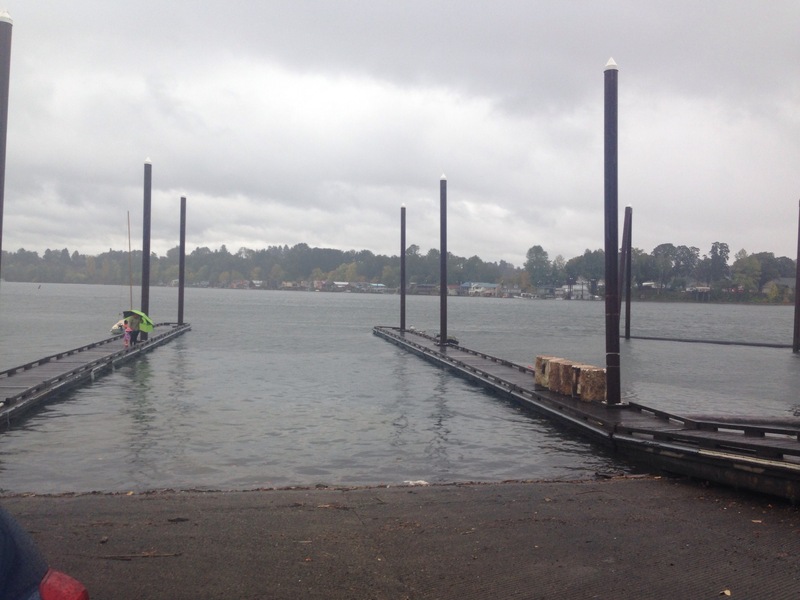 We quickly changed into wetsuits, and drove to Willamette Park boat ramp near downtown Portland. Sure it was rainy and cold, sure we were sleep deprived, but gosh darn it we’d been looking forward to kayaking for weeks! Everything I’d read about circumnavigating Ross Island talked about how easy it was, how calm the water was on that part of the Willamette River, but when we showed up I saw faster water than any we’d been on before. Was it wind? Current? Probably both. But our destination was downstream and we wondered how we would get back to the car, especially having zero experience on real rivers. So with sad hearts we changed back into our cotton clothing and drove away, back to Seattle, and immediately started planning our next kayaking trip.